Your beautiful baby has arrived and as a dad, you have a big impact on your child's development from birth. 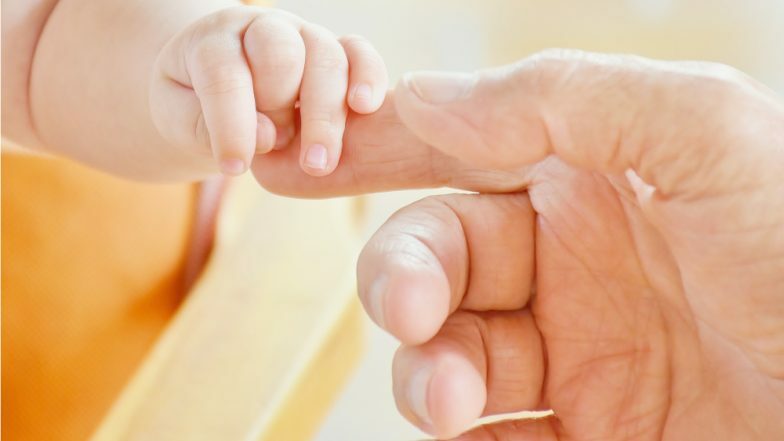 Newborn babies are born ready to connect with both their parents. Though with the birth of a premature child, dads feel an additional pressure to try and find a perfect balance their baby, partner and broader responsibilities. This makes it hard for dads to build a relationship with their premature baby but, being hands-on from day one is a great way to your fatherhood journey. Fathers tend to play a big role in the social, emotional and physical development of the child. The experience of having a companion generating a child starts an important moment in the vital cycle of men. There are new tasks and roles during this preparation period for the birth. The arrival of a child involves a redefinition of roles and reconstruction of the family and its members. At this stage, unknowingly, you're already playing an important role in your baby's life. You're a vital member of the team at the Neonatal, Intensive Care Unit, that's working to make your baby stronger. Being a NICU dad can be difficult but that’s when you need to step up and do all the things proactively to comfort and support your baby and your partner and realize that you're making a difference. The more time you spend in the NICU, the better it is for your child’s development. Men are more "rough and rugged" with their toddlers and children and encourage the more risk-taking behaviour. In some cases, men are simply inclined to take an "it's cute - but what does it do?" attitude to their children when they're at such an early stage in their development. Remember to take Kangaroo Care, the simple act of spending a lot of time with your baby, wherein you maintain a constant skin to skin contact and constant communication with them. Talking to preemies is very important as it helps their cognitive faculties develop. Although your baby may look fragile, she won't break. Know that your baby recognizes your voice and touch. Amidst all this, it’s normal and understandable to feel lost or stretched between responsibilities at home which includes looking after other children, hospital and work. Your needs can sometimes get forgotten too, with family and hospital staff focusing on your premature baby and your partner. Remember to take out Couple Time. For a lot of new parents, having a baby, especially a premature baby means less time for each other. On the contrary, couples should make it a point to spend time with each other as it not only strengthens their bound but also helps the baby to adjust well with both parents instead of just the mother. If you’re in the NICU as much as possible, it can also help your partner feel more confident about the situation. Your support can boost her wellbeing and mental health and support her relationship with the baby and with you. Strong emotions like anxiety, fear, grief, resentment, helplessness, frustration, tension, overwhelming love and pride, amazement and hope keep juggling in the minds of new fathers. Remember, men and women sometimes cope differently, You and your partner may experience many of the same feelings but not always at the same time. Be patient, reassure her, help with the demands of pumping milk, encourage her to take care of herself, praise her for spending time with the baby, pumping milk, and everything she does. Fathers seemingly have no worries these days about holding the baby. Many of them have seen role-model dads such as Bradley Cooper, George Clooney, Jason Statham and Adam Levine carrying their babies or taking time out with their kids and now follow suit. It has been found that men experience a surge in "bonding" hormones around the time their children are born. No wonder why they say, it’s an evolutionary response to turn lads into dads! It’s always good to remember that while you’re being there for your wife and baby emotionally and physically, don’t ignore your own emotions. Make sure you speak to either experienced family members, friends or even a counsellor when in doubt.